Stathis A. Lemis was born on the 19th of October 1964 in Limassol, Cyprus. He graduated from Southern Illinois University (USA) with a BA in Psychology in 1988. Subsequently, he studied Law and graduated from Essex University (UK) with an LLB Honours degree in 1993. He then attended the vocational course at the I.C.S.L. (INNS OF COURT SCHOOL OF LAW) in London from September 1993 until June 1994. In 1994 he returned back to Cyprus were he did his pupilage training for a year and successfully passed his bar exams. 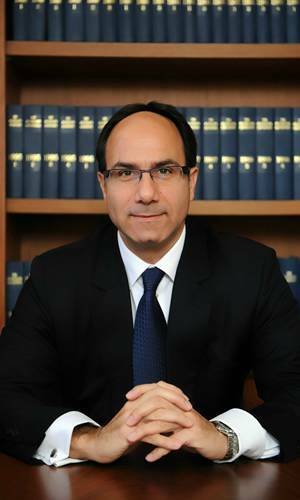 He was admitted to the Cyprus bar in 1995, and since then he is a practicing lawyer in Limassol, Cyprus. He is one of the Managing Partners of the law firm Nicos Chr. Anastasiades & Partners. He is also one of the Managing Directors of the affiliated companies Imperium Services Ltd, Imperium Nominees Ltd and Imperium Trustees Ltd which provide Administrative, Nominee, Secretarial, Trustee and other Corporate Services. His clients consist of corporate entities, groups of companies and high net worth individuals. His main areas of practice are Mergers & Acquisitions, International tax planning (Tax, Corporate and Trust aspects of International Tax and Estate planning structures), Property Law and Contract Law (International Escrow Agreements). He is a member of the Cyprus Bar Association, the International Bar Association (IBA), the International Fiscal Association (IFA), the International Tax Planning Association (ITPA), Cyprus Fiduciary Association (CFA), the Cyprus International Business Association (CIBA), where he served for 2 years as a member of the Taxation and VAT sub-Committee, and the Cyprus Chamber of Commerce. He participated in several seminars throughout the world that were organized by the IBA, ITPA and STEP and he was also a speaker in the seminar organized by the Bank of Cyprus Ltd in St. Petersburg, Russia, on 24th of March 2003, on the subject “Cyprus IBC’s and International Tax Planning.” He was also one of the main speakers at the Annual Bosco Conference held at the Four Seasons Hotel in Limassol, Cyprus on 10th of November 2011 and at the Annual Bosco Conference held at the Premier Palace Hotel in Kiev, Ukraine on 24th of February 2012 on the subject “Cyprus International Trusts and their use in sophisticated and practical International tax and Inheritance planning schemes for asset protection”. He was also one of the organizers of the seminar held in Dubai on 28th November 2014 on the subject “Cyprus Property Investment Opportunities, CY Citizenship and the benefits of the favorable CY Tax and Legal system. 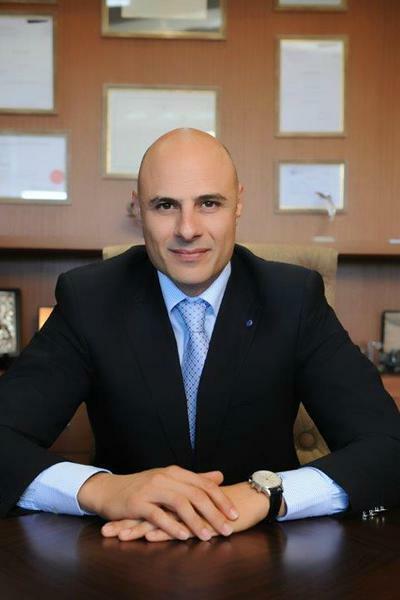 Phanos Philippou was born in Nicosia (Cyprus) on the 17th February 1972, is one of the managing partners of our Firm. Mr. Philippou specializes in International Company Law, International Tax Law, Domestic Tax Law, Contract Law, Mergers & Acquisitions, incorporation and advising of International Financial Companies and matters related to the Cyprus Securities and Exchange Commission. He studied Law at the University of Sheffield (U.K) where he was awarded an LLB (Honors). He continued his studies in Property Valuation and Management at Sheffield Hallam University (UK). He is a member of the Cyprus Bar Assocation since 1996, the Limassol Bar Council (elected in 1999, re-elected in 2003), International Bar Association (IBA), the International Fiscal Association (IFA), the International Tax Planning Association (ITPA), Cyprus Fiduciary Association (CFA) and the Cyprus Chamber of Commerce. During his career, Mr. Philippou participated in many International law conferences and he is a frequent speaker at international gatherings. He is fluent in both English and Greek.